I haven't noticed any defects. Under two daylight-balanced LED lamps. 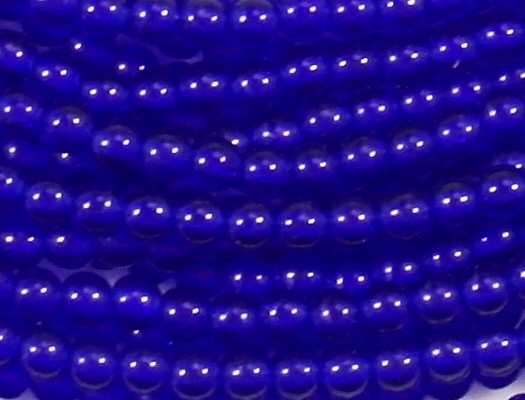 Unfortunately, the lamps leave two bright spots on each bead. 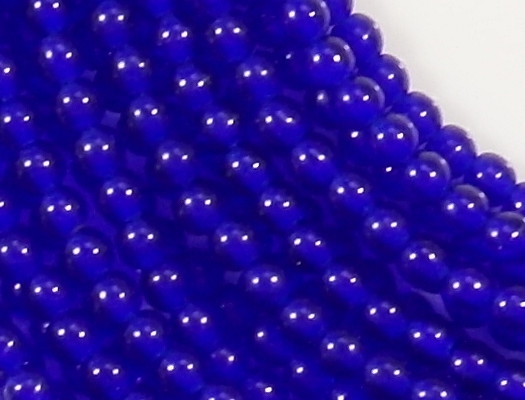 My pictures show a bunch of strands on top of each other, and consequently the beads tend to blur together into one mass. 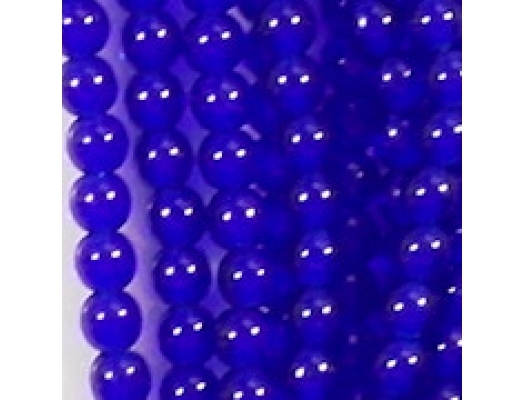 However, since the shape of the beads is simply round, what's important to see is the color, and the picture reproduces that fairly accurately. 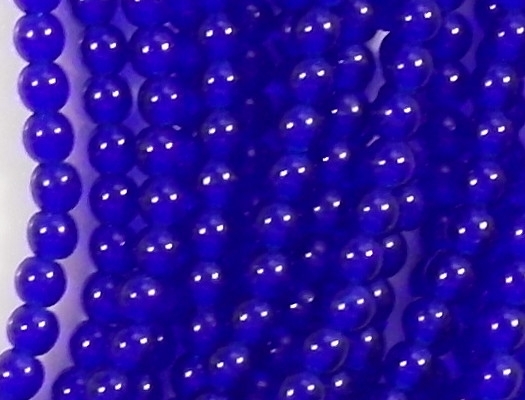 I used to use daylight-balanced CFL bulbs, but now I am using daylight-balanced LED bulbs, and I think they result in more accurate colors. 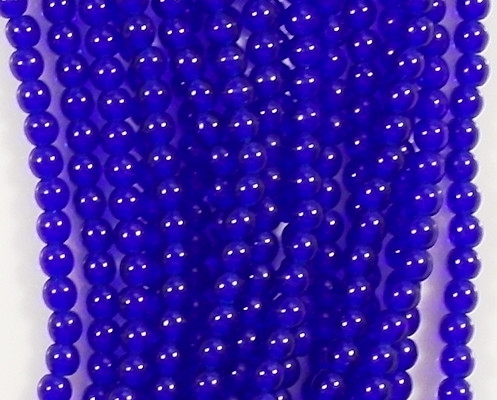 These beads were contained in my old shopping cart, which I abandoned in 2012. I forgot to transfer them over to the new shopping cart until 2016. Sorry! 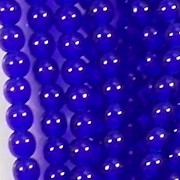 However, all that time I have been selling similar cobalt-blue beads which had an iris coating.